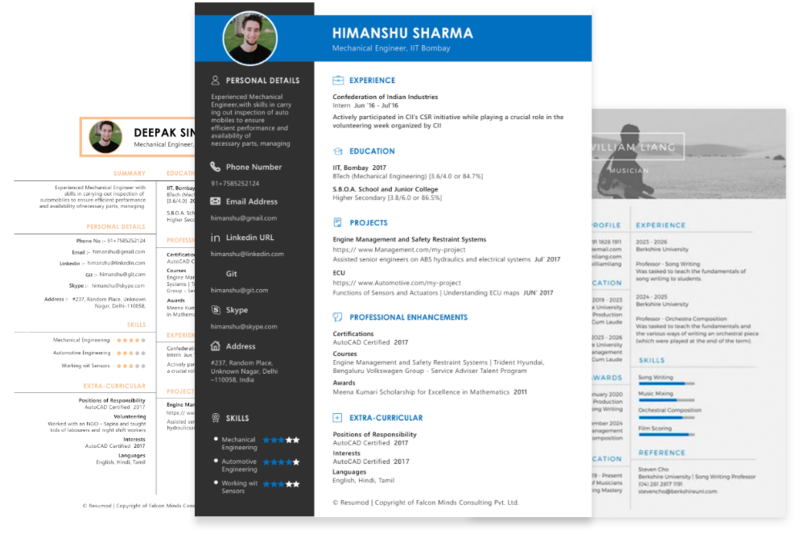 Create a professional resume in minutes. Write your own content or get help from professionals. Free Sign-up. Referral discounts for students.